Our sun is a star which takes up 99.8% of our solar system. It is 1,448,409 km across and if we hollowed it out, we could fit 1.3 million earths inside of it. Despite all that it is actually considered a medium sized star. 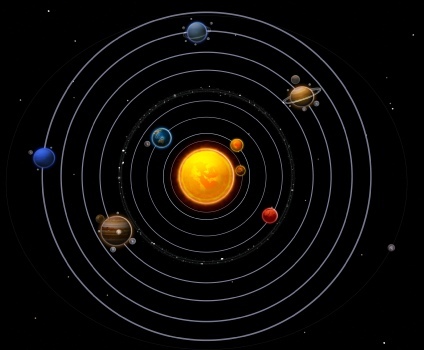 Due to its massive size, the sun exerts a gravitational pull on all the planets, making them circle or orbit it. These 8 planets or ‘satellites' orbit the sun on an almost flat surface. The closer the planet is to the sun the faster it orbits around it is. Mercury takes 88 days to orbit the sun, while Neptune takes 60,200 days to orbit the sun. 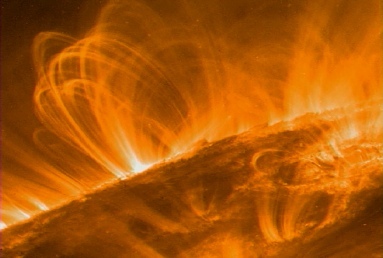 Its not just the size and strength of the sun which is amazing, but also the energy given off. Even though the sun is over 150 million km from earth, the light it sends out only take 8 minutes to reach us! This light contains huge amounts of energy called, solar energy. 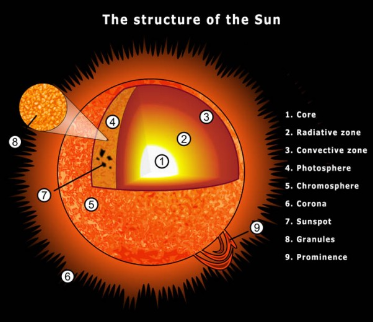 It is created by chemical reactions occurring deep in the suns core. Deep in the core of the sun nuclear reactions take place. Hydrogen is converted into helium through nuclear fusion. When we create helium from hydrogen, the result is a slight smaller molecule than what we started with, meaning there is energy released. This energy keeps the sun going and our earth nice and warm. The temperature at the centre of the sun is roughly 14 million degrees Celsius, while the chromosphere is roughly 14 to 7 thousand degrees. Interestingly the Corona, 2100 km above the solar surface is 500,000 degrees Celsius. Scientist believe this is to do with magnetic field lines, sun spots and solar flares.